Discover the amazing Dalmatian coast on a weekly boat or yacht charter in Croatia departing from Split, Dubrovnik, Šibenik, and Zadar! 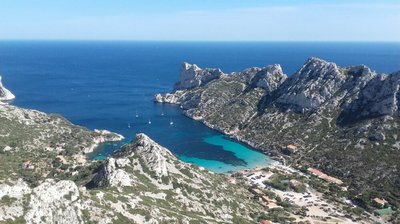 In one of the most beautiful summer yachting destination in the Mediterranean sea, Croatia sailing holidays are guaranteed to be memorable: charming coastal towns, and little pristine islands surrounded by turquoise waters and deserted lagoons. 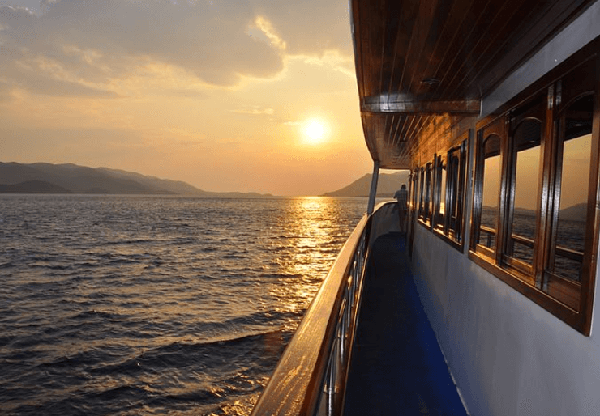 Cruising the coast on your boat or yacht charter in Croatia can either a smooth long passage with delightful anchorages in secluded bays, or a series of short passages, with frequent stops to visit the historic towns. 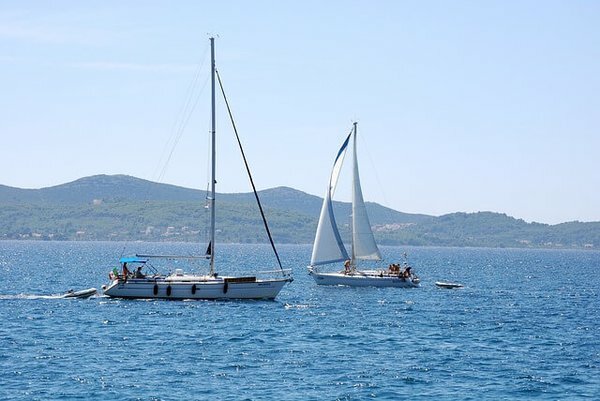 It's time to start planning your next Croatia sailing adventure on Sailo! 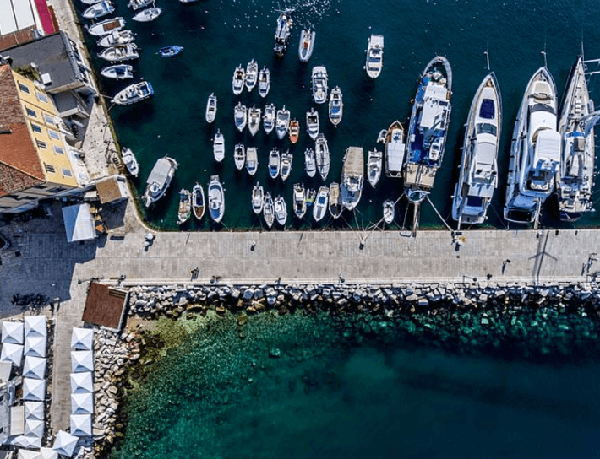 Embark on your Sailo yacht charter in Croatia at ACI marina in Split, and get your camera ready to capture your sailing adventures along the Dalmatian coast! Your first stop will be in Supetar on Brač Island. Here you can visit the ancient Roman ruins at Villa Rustica and the incredible headstones and tombs in Supetar’s cemetery, particularly the monumental Petrinović family mausoleum. If you are looking for some action, head to the beach and enjoy the an afternoon dedicated to watersports: water skiing, paragliding or diving. End your day with a traditional Dalmatian dinner at one of the local tavernas. 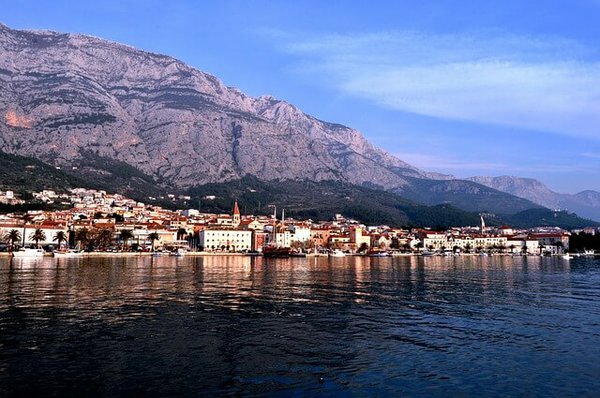 Set sail to the spectacular coastal city of Makarska. Located on the backdrop of the Biokovo mountain, this charming beach resort has a very nice long and buzzing promenade, filled with shops, cafes and nice tavernas At the end of your day, walk over to St. Peters peninsula to witness a magnificent sunset over the Dalmatian coast. The charming town of Jelsa is a popular tourist destination during summer and a ferry port. 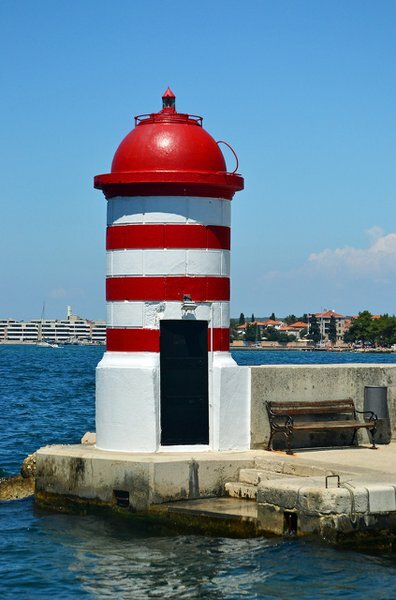 Drop anchor on your Sailo boat charter in Croatia and head to the old town on the northern part of the quay. Visit the 14th-century Church of Saint Mary and go for a stroll along the narrow cobbled streets. Take this day to relax either in the city, or on one of the beaches around. Hvar town is the busiest place on the island, rich in cultural heritage and with a very active nightlife. You will be instantly impressed by the 13th-century fortress dominating the town - the perfect place to take in the beautiful panorama over the Adriatic and the town. Hang around St Stephen square, visit the imposing Baroque cathedral, and stroll the marble streets to admire the superb Gothic palaces. Discover the historical side of Vis town and don’t miss your chance to taste the local wine! With a mix of Greek, Roman and British influences, Via offers something for everybody: the impressive ruins of Roman baths with intact mosaics, a medieval town with a labyrinth of narrow alleys lined up with 17th-century houses, or a local sweet and fruity wine made of Vugava native grapes. Set sail to Šolta island and drop anchor at the small fishing village of Maslinica. The southern part of the bay is dominated by the 18th-century Marchi Castle, now a hotel. 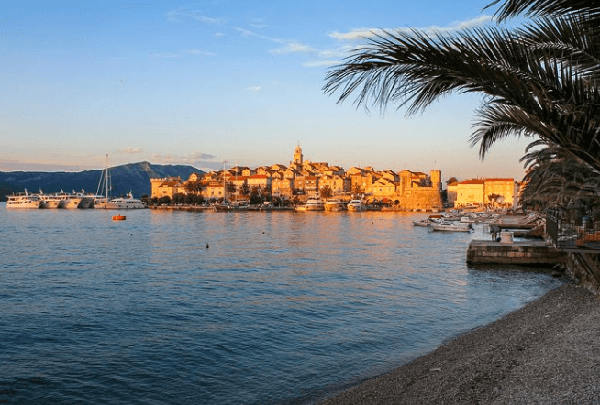 If you’re looking for a day at the beach, head to Šipkova bay where you’ll find the only sand beach on the island, or to Šešula bay which is also a very good overnight spot. Enjoy a smooth sailing back to Split. 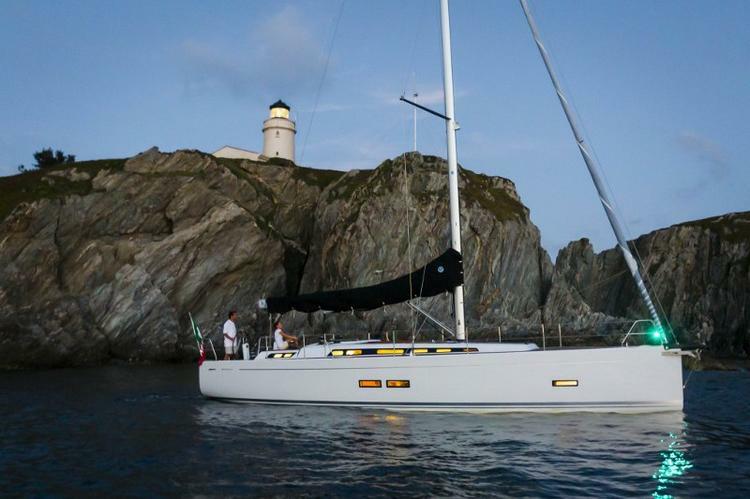 We hope you had an unforgettable sailing experience on your Sailo yacht charter in Croatia. 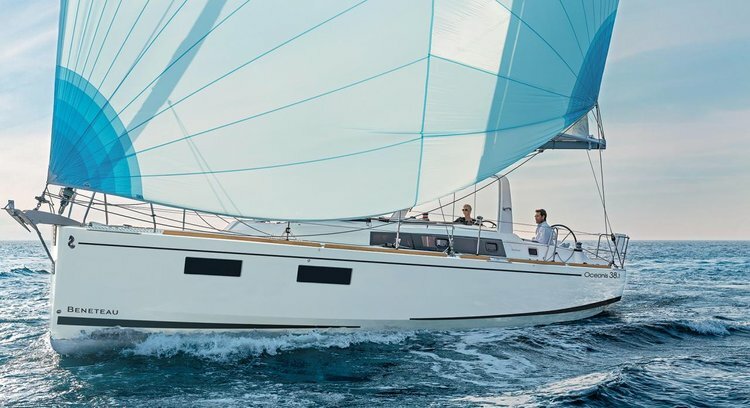 And if you are looking for inspiration for your next sailing in Croatia, make sure to check the other Sailo itineraries on the Dalmatian coast! Hop on board of your Sailo yacht charter in Croatia at ACI marina in Split and get ready for an exciting nautical adventure! 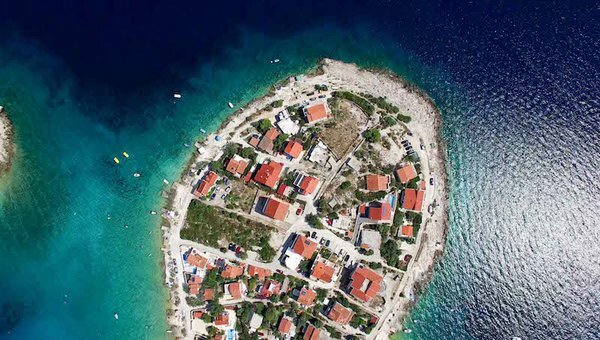 Your first stop is Brač - the largest island in Dalmatia, famous for its white limestone and for Zlatni Rat - the long pebble beach sticking out off the south coast of the island. Moor your boat charter in Croatia and relax on board while taking on the scenic view. Head west and drop anchor in Milna (14 NM from the beach) - the most beautiful and best-protected harbor on Brač. Explore the town and don’t miss your chance to try Dalmatian cuisine. Hvar is Croatia's self-proclaimed 'Premier Party Town.' 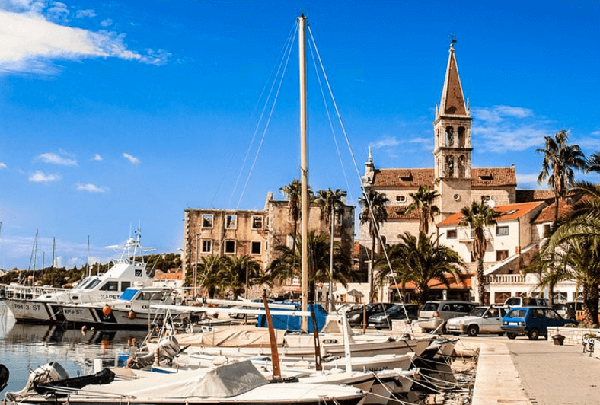 Hop off your Sailo yacht charter in Croatia and go for a stroll along the marble streets to admire the beautiful architecture of town’s Gothic palaces. From the main square you can hike to the XV century Spanjola fortress for a panorama view over town and Pakleni Islands. Going sailing in Croatia on this itinerary is very much about visiting the most interesting islands in Dalmatia. Drop anchor on your yacht charter in Croatia at ACI marina on Korčula island and enjoy a day in “Little Dubrovnik”. Take a trip inland to enjoy the lush landscape of dark pine forests, vineyards and olive groves, and try the local white wine. Welcome to the paradise of Pomena on the western coast of Mjlet island! Anchor in the sheltered cove and explore the tranquility of the charming little harbor village in the west edge of the Mljet Island. For a change of scenery, take a walk through the pine and bay forest to Malo Jezero lake - part of the National Park Mjlet. Along with the rest of Lastovo archipelago, Zaklopatica - a picturesque bay located on the northern part of the island - is a haven for boaters and great destination to enjoy for both beginners and experienced sailors. Anchor your boat charter in Croatia and go swimming the inky waters of the Adriatic sea or walk to Lastovo, the main town of the island. 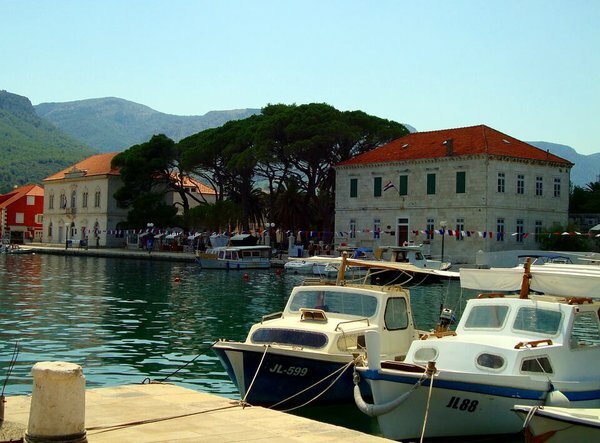 On your way back to Split, make a stop this time at Vela Luka on the western part of Korčula island. This sunny city is home to a unique bay lined up with beautiful, 19th-century homes surrounded by palms. Besides roaming through the town or getting some sun, you can also explore the nearby Vela Spila cave. 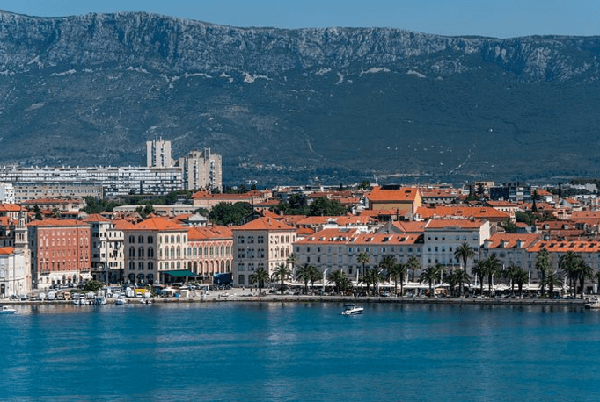 Set sail back to the ACI marina in Split to end your trip. We hope you enjoyed your sailing in Croatia on a Sailo boat and we are looking forward to welcoming you back on a yacht charter in Croatia! Split is the home port of your Sailo yacht charter in Croatia. This beautiful city is the perfect mix of traditional and modern attractions, set to an amazing backdrop of mountains and blue waters. 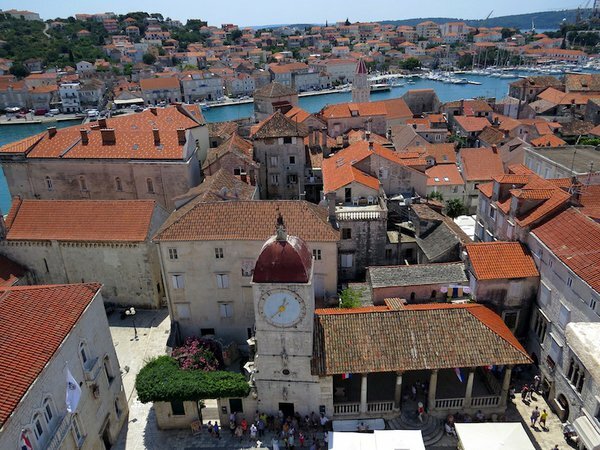 A visit to the spectacular old town Trogir is a must when you go sailing in Croatia! 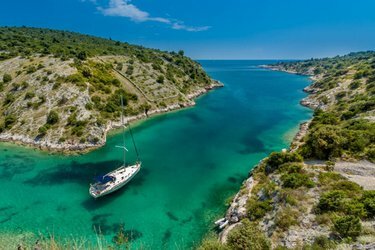 Drop anchor on your boat charter in Croatia and go for a walk to admire the 13th to 15th-century well-preserved buildings, with a mix of Renaissance, Baroque and Romanesque architecture. At the end of the day, join the happy crowd on the wide seaside promenade lined up with restaurants and cafes. After a day spent on land, your next stop is on the beautiful island of Vis. Komiža is located in a scenic bay at the foot of Hum mountain. Spend the day relaxing on one of the small pebble beaches, or take a few hours to visit the Blue Grotto on the nearby Biševo island. The unique setting of Vela Luka - a charming little town on the western coast of Korčula - is ideal for a relaxed day spent on board of your Sailo yacht charter in Croatia. Take a break to enjoy the tranquility of the bay and to admire the beautiful 19th-century architecture of the mansions surrounded by palm trees. Your next stop is on the main island part of the archipelago with the same name - famous among both experienced and beginners in boating. Take a stroll along the streets to admire the picturesque stone houses or hike up to Hum, island’s highest point. 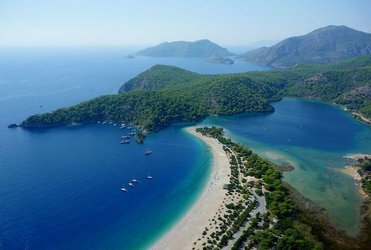 One of our favorite places to swim and enjoy the view is Skrivena Luka bay, located on the southern side of the island. From Lastovo town you can also walk up to Zaklopatica and have lunch or dinner with a view at Triton. 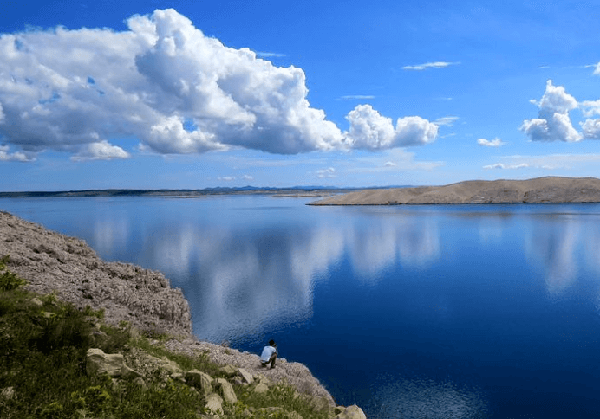 The National Park Mjlet - the next stop on your 14 days itinerary from Split - is the ideal location to go hiking the lush hills for stunning views of the island, or go swimming or kayaking on the two salt lakes. Drop anchor on your boat charter in Croatia in Pomena and don’t miss the chance to have a fresh seafood dinner with a view at Konoba Ribar. 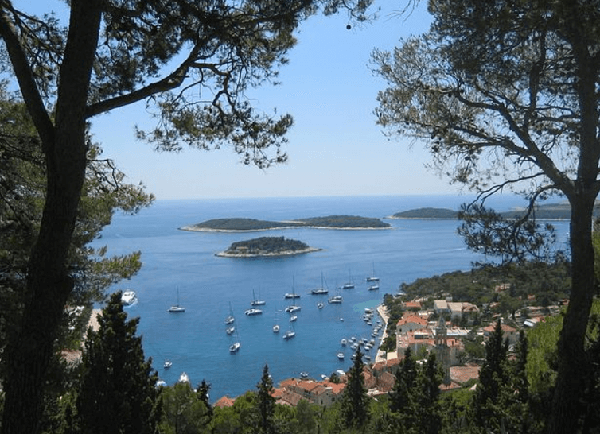 For your second day on Mjlet island, set sail on your yacht charter in Croatia to Sobra: a quaint, unpretentious fishing village where you can relax and enjoy an authentic Dalmatian meal. On your way to one of Dalmatian coast incontestable jewels and a very popular yachting destination - Dubrovnik - stop in Slano to enjoy its fantastic beaches and coves. 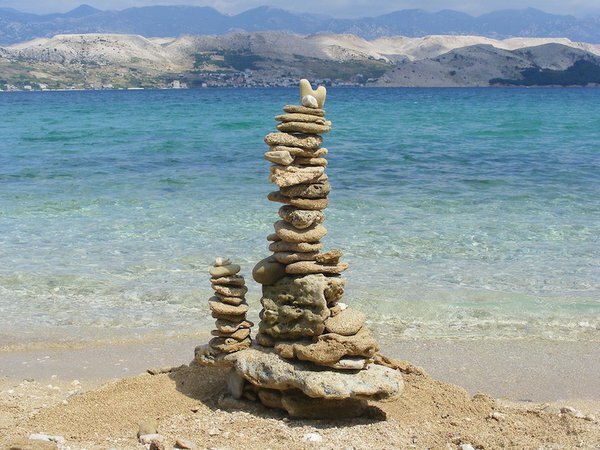 Take your pick from the many types of beaches waiting for you here: pebble, sand, stone or paved! Drop anchor on your boat charter in Croatia in the sheltered Banja cove and go fishing with the locals to catch your dinner. As George Bernard Shaw once stated, “those who seek paradise on Earth should come to Dubrovnik.” When you go sailing in Croatia, Dubrovnik is a must on your list. Enjoy this amazing city that never fails to awe its visitors. Keep your camera close to capture the charming limestone streets, impressive Baroque buildings, and the stunning views of the Adriatic sea. Set sail to Sudurad - the main port of the Sipan Island and get ready for a change of pace. 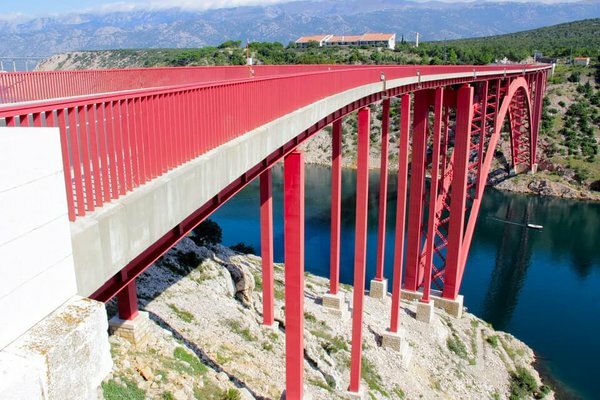 The island is popular among Croatians and appreciated for the laid-back atmosphere and delicious wines. We’re heading back to Split, but not before stopping to explore Polače - a beautiful and very popular village on the northern part of the island. You can choose to drop anchor on your boat charter in Croatia in the sheltered bay and relax on the sandy beach, go fishing or try water sports. 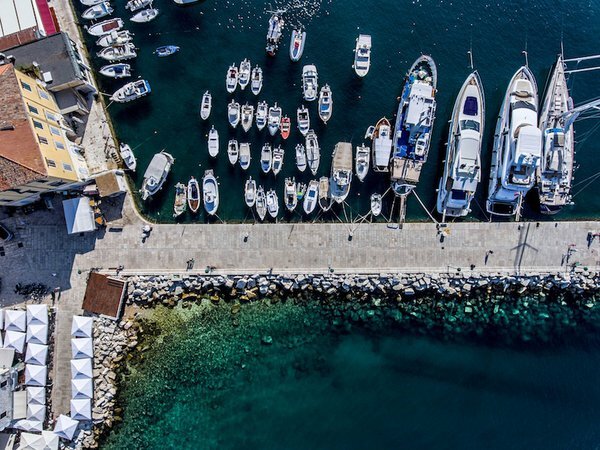 Your next stop at the ACI marina is your chance to explore the eastern part of island and the historical coastal citadel of Korčula. Your anchorage is just outside the fortified walls of the town. 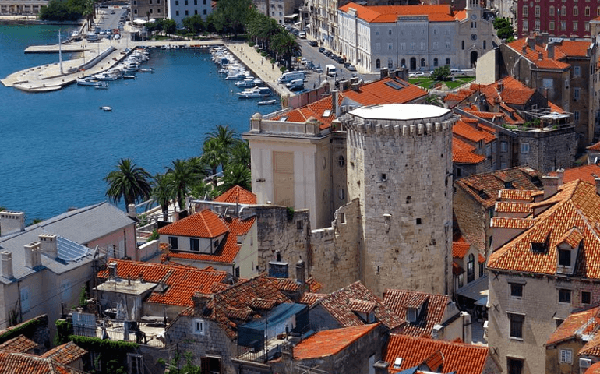 Hop off your yacht charter in Croatia and go for a walk along the marble streets to admire the Renaissance and Gothic architecture, the Venetian governor palace, and the Romanesque-Gothic Cathedral of St Mark. Hvar is the busiest town on the island and a very popular yachting destination on the Dalmatian coast. 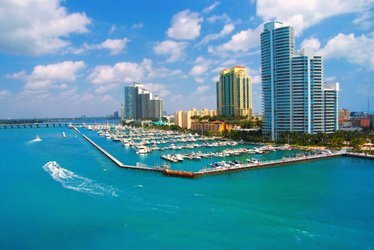 All through the summer, the port is lined up with luxury boats from all over the world and the beaches are filled with party-loving crowds. Drop anchor and explore the narrow streets to enjoy the Gothic architecture, hang around at the St Stephen’s square, or go for drinks at Hula Hula beach at sunset. Our local friends recommend the nearby Pakleni islands - the 21 forest-like isles, with turquoise waters and beautiful lagoons. 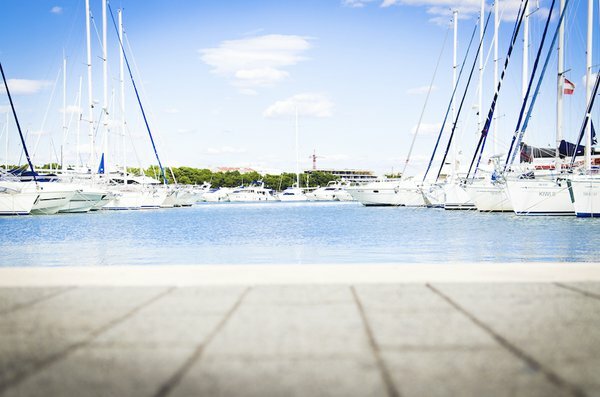 Enjoy a smooth sail back to the ACI marina in Split - the end of your itinerary. And if you’re planning to come back sailing in Croatia, make sure to check out our collection of itineraries in the Adriatic sea! We are looking forward to welcoming you back on a Sailo yacht charter in Croatia soon! Hop on a yacht charter in Croatia and start your Adriatic adventure from the vantage point of the second largest city in the country. 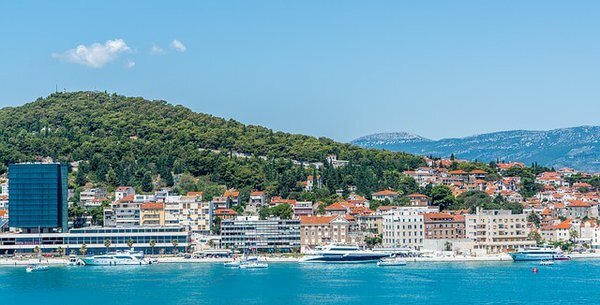 Known for it’s dramatic cliffs overlooking turquoise seas, throw the dock lines off at Split and admire the ancient city off your stern as you begin your journey. For the first stop on your boat charter in Croatia, Hvar offers options for every type of traveler. Whether you want to sip cocktails at a posh club, anchor in a secluded harbor or explore lush lavender fields, this sunny island is the premier destination on the Dalmatian coast. For your next stop, make way to Korčula for a tranquil respite after the bustle of Hvar. 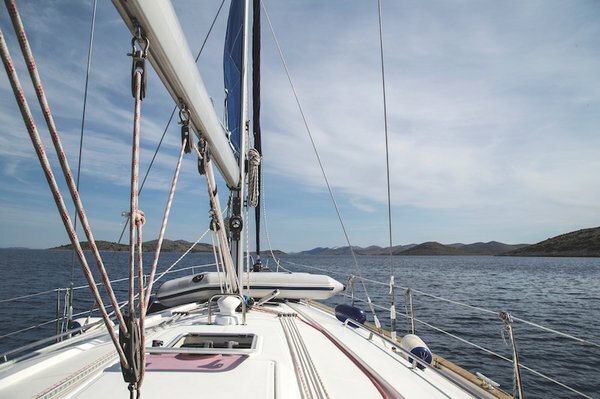 Hoist the sails and head to the Pelješac Channel for some of the best sailing in Croatia. 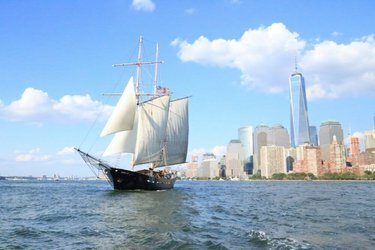 Known to have “breeze on,” you can spend the day tacking along the coast amongst other boaters. After a windswept day on the water, head to Moro Beach Club Stupe and sip a cocktail from a swing suspended over white pebbles and cerulean seas. Take your yacht charter in Croatia to the Paradise of Pomena for the next adventure. This relatively uninhabited island boasts the Mljet National Park. 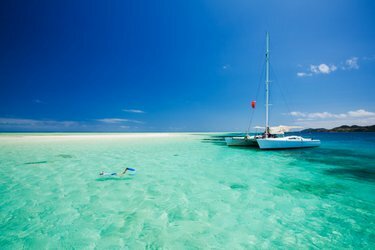 Spend the day exploring expansive saltwater aquamarine lakes by boat, foot or scuba! Be sure to make a pit stop in the quiet fishing village of Sobra before you leave Mljet. As you depart from Mljet island, we recommend stopping by Konoba Lanterna for dinner. Moor your boat for free in the Adriatic and enjoy delicious local seafood with breathtaking views! 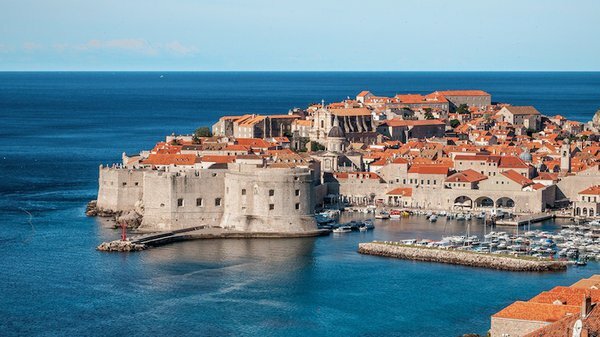 An adventure on a boat charter in Croatia wouldn’t be complete without a stop in Dubrovnik. 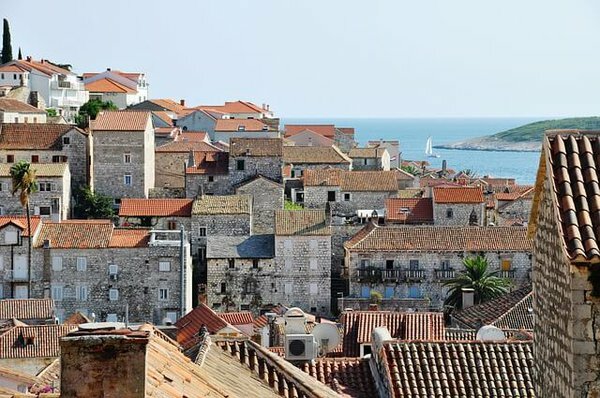 Recently made famous as the setting of King’s Landing in Game of Thrones, dock your boat and explore the cobbled streets of the Old Town encircled by 16th century stone walls. 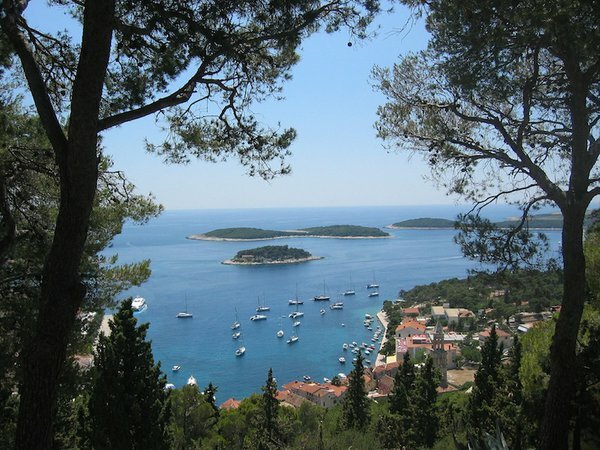 Depart from Dubrovnik on your yacht charter in Croatia and head for the peaceful city of Cavtat. 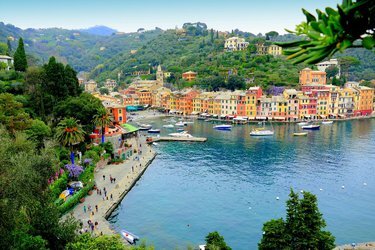 With lush greenery contrasting with Renaissance-style architecture this seaside town is worth a day of exploring. 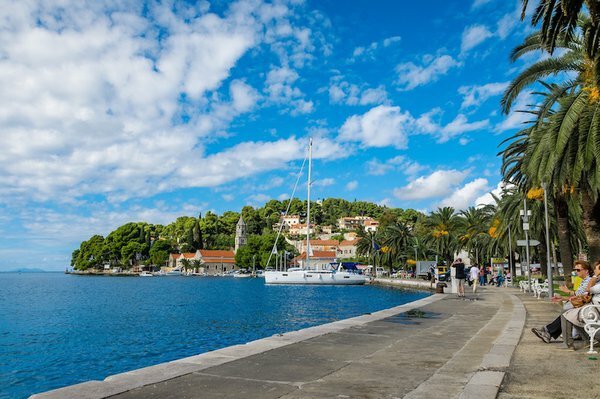 Tie off in the harbor and spend the afternoon walking along the Cavtat seaside promenade. Admire the yachts and sip a cool beverage as the sun lowers in the horizon. 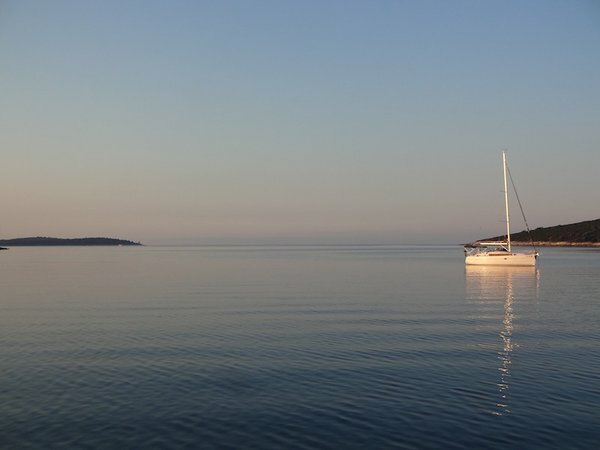 A must for sailors on a boat charter in Croatia, Sipan’s laid back ambiance allows for a day of tranquility. Spend the day anchored in a secluded bay and enjoy an evening at Bowa restaurant. Enjoy local wine under cabanas made of fig trees as you feel the ocean breeze graze your cheek. A haven for sailors due to its secluded bay, drop anchor and head to shore to explore the ancient ruins of Polače. Named for the 5th century Roman palace whose walls still surround the quiet village, Polače boasts ancient ruins dating back to as early as 1st century. Located on the island of Lastovo, Zaklopatica is a quiet, protected bay on the north side of the island. Bustling with underwater life, jump into the crystal clear water from your yacht charter in Croatia to admire the native fish, coral and starfish under the sea! As you pull into the harbor of Vela Luka on a boat charter in Croatia, you will be greeted by red roofed homes and lush, rolling hills. Known for it’s oil, wine and fresh fish, be sure to stop by a local restaurant to savor the delectable local produce. For an authentic Croatian adventure, make way for the island of Vis as you’re sailing in Croatia. We recommend stopping by Blue Grotto located off the southwestern tip of the island. At midday, meander into the seaside cave to experience a starkingly beautiful blue hue reflecting from the water. If you peek through the water you might be able to see shimmering rocks beneath you! As your adventure on a boat charter in Croatia comes to an end, spend a few moments in the the fishing town of Komiža. Laden with a seafaring history, there is fresh fish to enjoy and sunken ships to explore below the surface! Unfortunately our time sailing in Croatia has come to an end! 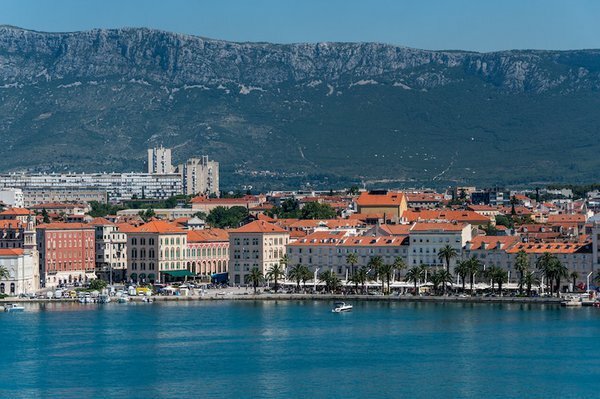 But seeing the enchanting city of Split off your bow as you enter the harbor is a mesmerizing way to end a journey. 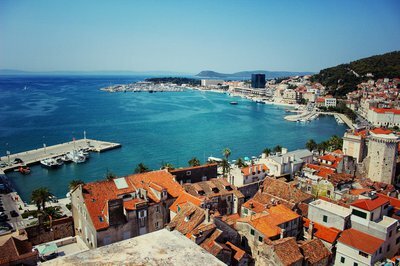 Embark on one of Sailo’s yacht charter in Croatia in the coastal town of Split and start your sailing trip along the Dalmatian Coast. Your first stop will be the charming town of Maslinica on Šolta island. Maslinica is a small fishing village known for its olive groves and vineyards. Visit the 18th-century Baroque Marchi Castle, which was transformed into a hotel, and the Church and Benedictine Monastery on Stipanska islet, dating back in the 6th-century. Head over to the Archery Oliveto and learn to shoot a bow and arrow. 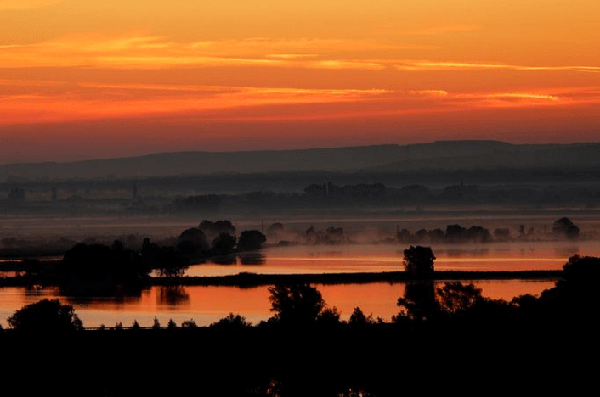 At the end of the day watch one of the most gorgeous sunsets over the seven islets of Šolta. 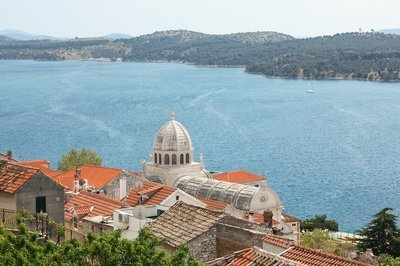 Next stop at Vis island will give you the chance to explore the ancient charming town of Vis. A former military base, the town was off-limits for the public until 1989. Visit the remnants of ancient Roman Baths with intact mosaics, and check out the English fortress built in 19th-century. Also be sure to try the local sweet and fruity wine made from Vugava - the grapes native to the island. Set sail to Komiža, on the west coast of Vis Island. Komiža is a small fishing village located at the foot the Hum hill. The hill keeps the town tucked away from the rest of the island. Hike up to the top of Hum to visit the 13th-century St. Nicholas monastery. Learn more about the long fishing tradition of Komiža at the local museum, housed in a 16th-century Venetian castle built on the quay. 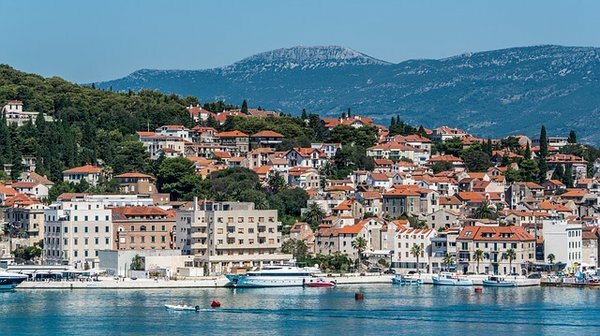 Your sailing in Croatia will continue to the island of Hvar and the town with the same name, well-known as the party-town of Dalmatian coast. Hvar is also home to the 16th-century Fortica (Spanish Fortress), the perfect vantage point breathtaking views of the Adriatic. End your day with a fine dinner in the spectacular walled garden of the Renaissance style Palace Paladini. 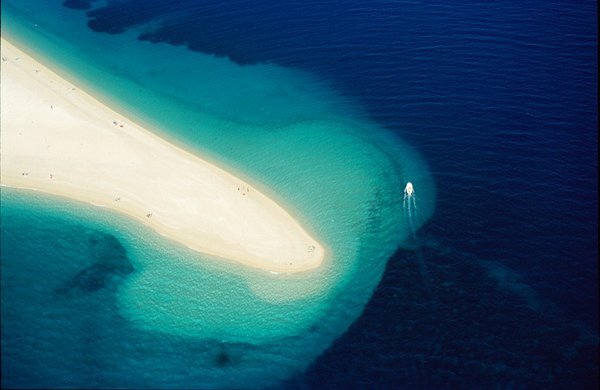 Located on Brač Island, Bol is famous for Zlatni Rat - the most praised beach in Croatia. 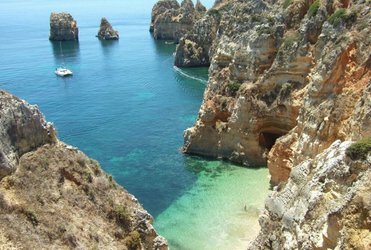 Besides this piece of sandy paradise and deep-blue, crystal-clear waters, Bol is also full of historical and architecturally spectacular churches. The most famous one is the 15th-century Dominican monastery. The monastery’s museum has Tintoretto’s painting "Madonna with Child and Saints" along with other historical artifacts and works. Set sail along to Blaca bay on the southern side of Brač, where you can continue your exploration of island’s historical landmarks. 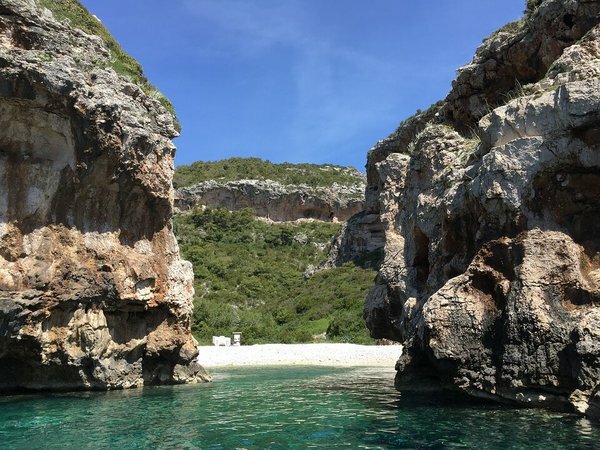 Following a 30 minutes walk along the trail starting on the beach in Blaca cove, arrive at the secluded 400 years old UNESCO Heritage site of Blaca monastery and Hermitage. Continue your sailing in Croatia up the coast of Brač to the small village of Milna. Go for a stroll along the narrow walkways to admire the charming white stone houses and shop for souvenirs. End your day with a fresh fish dinner at one of the restaurants in the harbor, and take in the spectacular view over the Adriatic. Head back to Split on the last day of your journey. Hop off your Sailo yacht charter in Croatia and continue your trip to discover the historical landmarks of Dalmatian coast on land. Do not miss the chance to visit the 4th-century Diocletian Palace and go for a walk in the old town. We hope you had a fantastic time sailing in Croatia and look forward to welcoming you back on one of our boats around the world! There’s no better place to begin a vacation sailing in Croatia than the bustling port city, Split. 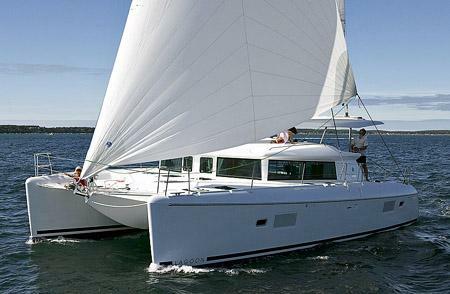 Hop on your Sailo yacht charter in Croatia and set sail on the adventure of a lifetime in the Adriatic Sea! A sailor’s haven, we recommend making way for Milna for your first stop. 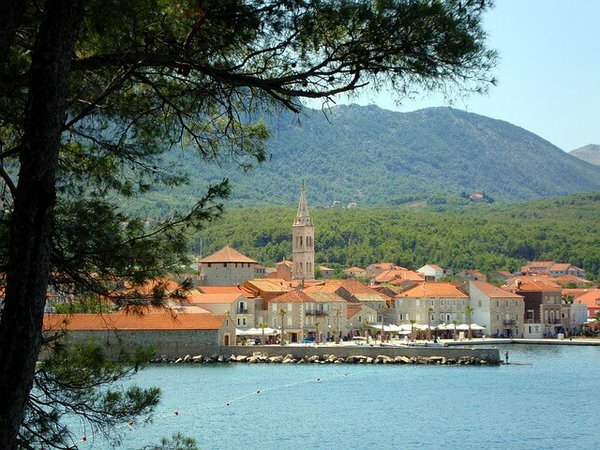 Located on the infamous island of Brač, Milna is regarded as one of the safest harbors on the island. 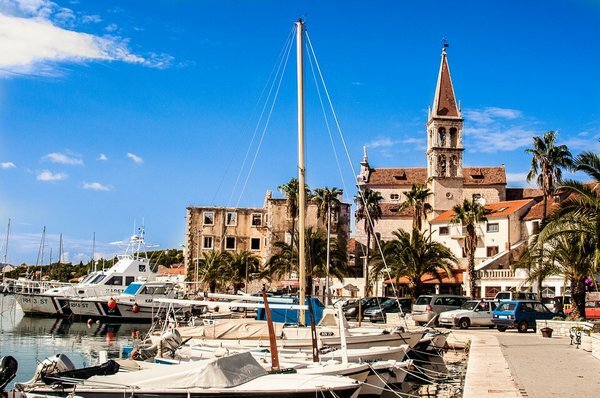 Known for classic Croatian shipbuilding, this nautical town is a charming spot to stop on your yacht charter in Croatia. While in the area, be sure to spend an afternoon at Bay Lučice where the boats appear to float over aquamarine seas. 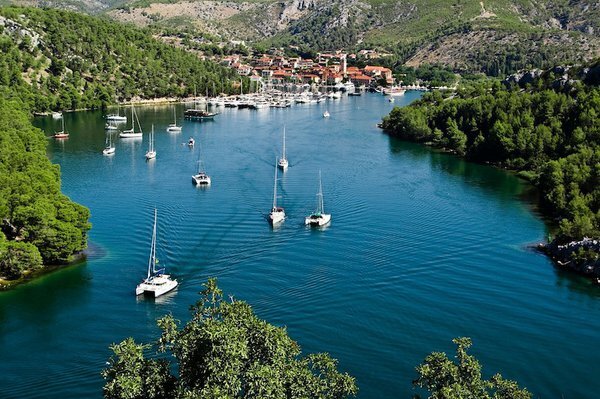 For an off-the-beaten-path historical pitstop, sail your boat charter in Croatia to Stari Grad. Translating to “Old Town,” this city located on the north side of Hvar Island was founded by the Greeks in 384 BC. Be sure to stop by Tvrdalj Castle, an exquisite example of preserved Renaissance architecture. Spend the afternoon roaming the grounds and envisioning what it might be like hunkering down in the castle during an invasion from the Ottoman Turks. 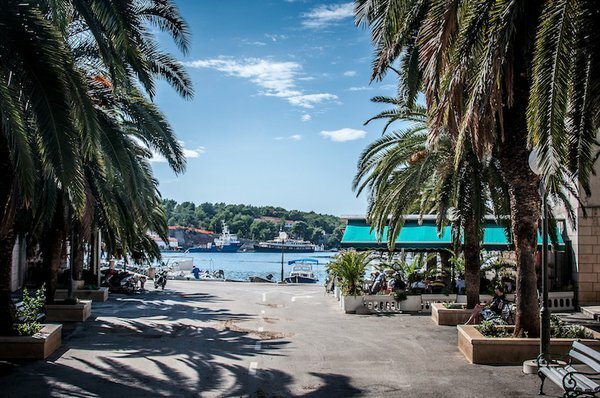 Next stop on your yacht charter in Croatia is the bustling port town, Hvar. If you’re looking to veer from the party scene, take a stroll up the winding streets to the fortress. Also known as Fortica, the vantage point from this medieval castle offers unparalleled views of Hvar and the Pakleni Islands. 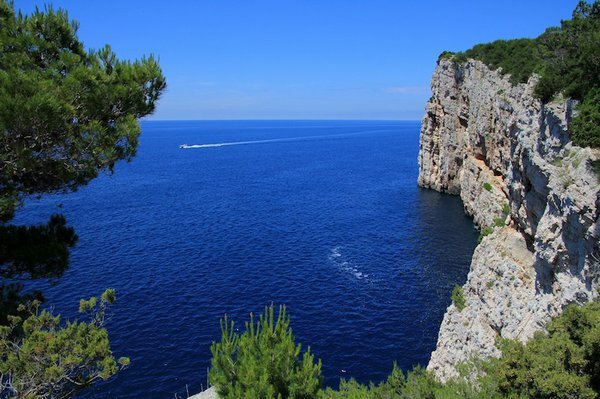 Journey to a quieter side of Hvar for the next stop on your yacht charter in Croatia. Located off the south side of Hvar you will find numerous safe spots to anchor at the secluded island of Šćedro. Spend the day paddleboarding or kayaking through the quiet coves surrounded by unaltered natural beauty. While you’re sailing in Croatia your next stop should be at Vela Luka. Located on the island of Korčula, this quiet island is well-known for local olive oil production. For a prehistoric adventure, we recommend journeying to Vela Spila. A cave perched above the town of Vela Luka, this archaeological wonder is something you won’t want to miss! To see an authentic side of Croatia, take your boat charter in Croatia to the island of Vis. 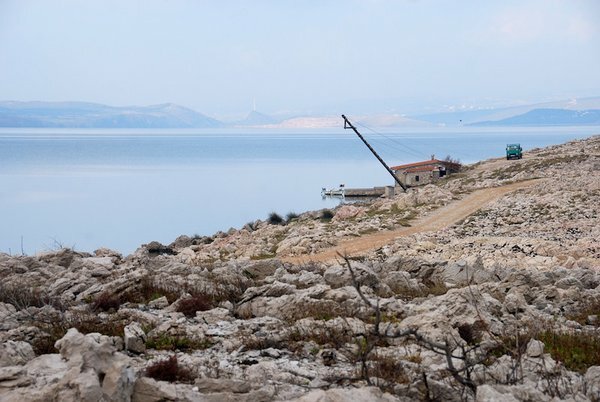 Serving as a military base for many years, tourism was halted leaving in it’s place a genuine Croatian paradise. If you want to hit the beach, take your yacht charter in Croatia to Stiniva. Pass through merely 10 meter gap cliffs to a cerulean haven. While we’re coming to the last leg of the trip on a yacht charter in Croatia, there’s still much to explore in the medieval city of Trogir. Spend the day roaming the streets and admiring the well-withstanding architecture dating back to the 13th century. While it’s time to end your adventure sailing in Croatia at the last stop in Split, we hope you’re leaving with full bellies, plenty of pictures and even more memories! Set sail on your yacht charter from Split to the beautiful and remote Lastovo archipelago - the most pristine islands in the Adriatic sea. Whether you rent a boat in Šibenik, step aboard a yacht charter in Split, or plan for day trips from Zadar, there’s plenty of beautiful beaches to discover along Croatia’s hundreds of miles of Adriatic coastline. Test your skills through the labyrinth of islands, islets and reefs, or choose a captained boat to Kornati islands and relax while taking in the stunning view. 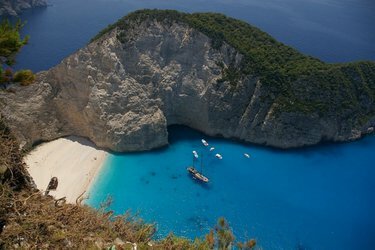 Plan your Croatia sailing adventure to discover the natural wonders on the Adriatic coast. Relax and enjoy your summer holiday aboard a Sailo yacht charter in Croatia. Enjoy the old coastal town that preserves the atmosphere of a medieval fishing village, with XVI century churches and a promenade bordered by the historical city wall.